Dr. Maximo Santos is a Doctor of Nursing Practice (DNP) graduate from Duke University in Durham, North Carolina, where he also obtained his Orthopedic and HIV Nurse Practitioner Specialty, including Pre-exposure Prophylaxis (PrEP), Post-exposure Prophylaxis (PEP) and transgender care. 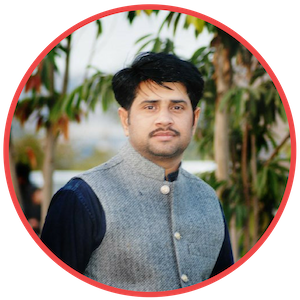 Prior to that, Maxx completed his Master of Science in Nursing (MSN) in the Adult-Geriatric Primary Care Nurse Practitioner program at the University of Cincinnati in Ohio in 2013. He is a Nurse Practitioner (NP-C), certified by the American Association of Nurse Practitioners (AANP). He is an HIV Specialist certified by the American Academy of HIV Medicine (AAHIVM). He is a member of the Sigma Theta Tau International (STTI) Honor Society of Nursing and the Association of Nurses in AIDS Care (ANAC). Maxx was an LGBT provider in Phoenix, Arizona for several years before moving to West Hollywood, California to be closer to his family, friends. Brian Kozaczka is a Nurse Practitioner with an active passion for healthcare promotion, advocacy and wellness. Brian completed his Bachelor in Science and Nursing from University of Hartford in Connecticut, and then earned his Masters in Science and Nursing as well as Family Nurse Practitioner credentials at Kennesaw State University, Georgia. For over 10 years Brian has helped patients maintain wellness within several communities ranging from urban hospital settings to community health care offices and clinics. Brian has consistently maintained a relationship within his professional career as a mentor and educator. He holds a national certification with the American Academy of Nurse Practitioners. 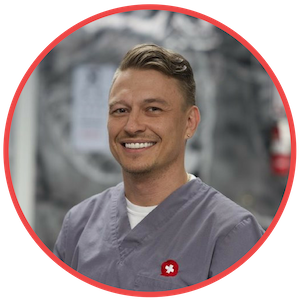 Brian brings to our practice an ambitious and eager approach to providing Primary Care, HIV care, Urgent Care, and LGBT Healthcare services to a growing demographic within the LA area! 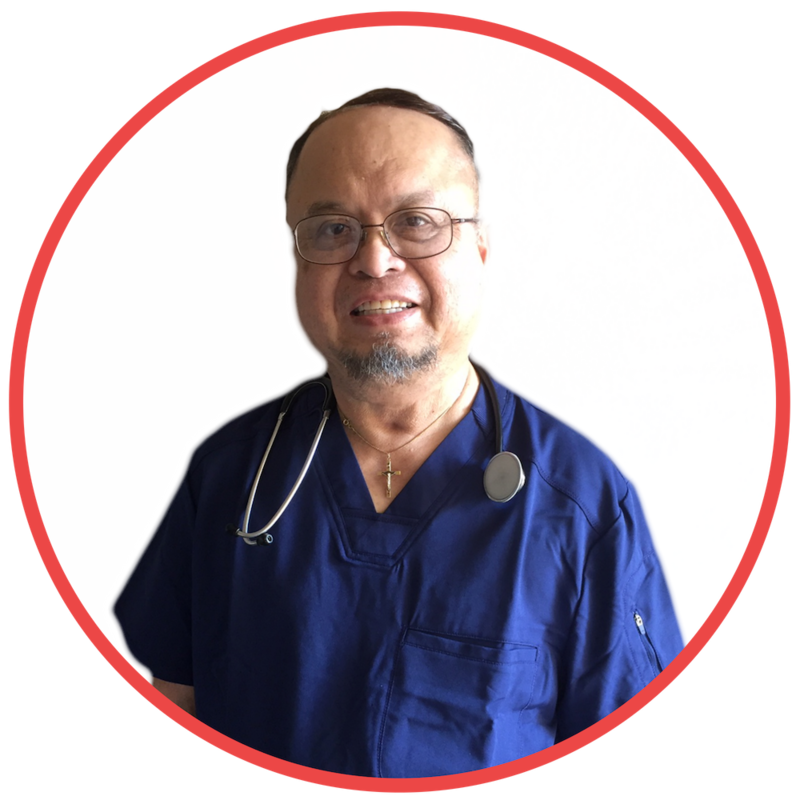 Dr Catipay has a long spanning career in medicine and patient care and is a very knowledgeable family physician and a primary care doctor. He started his career and spent over 30 years as an obstetrician/gynecologist in Ohio and Illinois. After having moved to California in 2008, Dr Catipay has given all of his time to family medicine and caring for patients with chronic conditions. He brings a wealth of knowledge and years of experience and joins The Doctor team as an old fashioned, conservative specialist who believes that patient’s quality of life and wellness are the most important factors in their overall health. Great News! Terry Russo - everyone’s favorite family NP - is returning to West Hollywood to care for her favorite community of 22 years! Terry started working with HIV/AIDS and LGBT population in the mid 1980’s as home infusion nurse for AIDS patients. She went on to continue working with HIV and Oncology as a Director of Nursing and eventually went on to become a Family Nurse Practitioner, graduating from UCLA. While in training, Terry worked with vulnerable homeless, drug, and alcohol addicted women on skid row in downtown LA. She later relocated to Massachusetts for a position with the V.A., where she cared for veterans in the greater Boston and Cape Cod MA areas. From the west coast to the east coast, Terry has gained valuable experience across multiple areas of healthcare, including clinical drug trials in addiction medicine. Terry brings decades of experience in primary care, urgent care, public health, pain management, addiction medicine and more. *Clinical services are provided for The Doctor Health Center, Inc. by The Doctor Professional Group, Inc., a professional medical corporation.